Can Peace Research Make Peace? Lessons in Academic Diplomacy considers the opportunities that peace research and the teaching of conflict resolution can offer academic diplomacy. Aiming to offer a comprehensive analysis of the conflict in West Kalimantan, Indonesia, it also launches a new theoretical approach, neo-pragmatism, and offers lessons for the prevention of conflicts elsewhere. The value of this book lies in its highlighting of the practical role scholars can play in facilitating peaceful resolution of conflicts, concludes Outi Keranen. This book review has been translated into Mandarin by Rachel Lim (Mandarin LN240, teacher Lijing Shi) as part of the LSE Reviews in Translation project, a collaboration between LSE Language Centre and LSE Review of Books. Please scroll down to read this translation or click here. 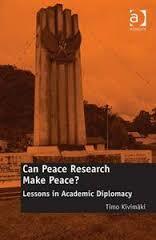 Can Peace Research Make Peace? Lessons in Academic Diplomacy. Timo Kivimaki. Ashgate. 2012. The province of West Kalimantan in Indonesia has witnessed more than seventeen separate violent conflicts between the Dayak, Malay, Chinese and Madurese populations since the 1950s. The conflicts have stemmed from political competition between the ethnic groups and destabilizing effects of decentralization of the province’s governance. Timo Kivimaki, Professor of International Relations and peace researcher, established peace studies network in East Asia in 2001. The activities of the network reached West Kalimantan, where, in collaboration with the local university, Kivimaki taught peace studies and conflict resolution to the key actors in the respective communities. Seven years later, the educational initiative transformed into formal peace process led by the Vice President of Indonesia, Jusuf Kalla. Kivimaki’s Can Peace Research Make Peace? Lessons in Academic Diplomacy provides a fascinating account of the process and the conflicts in West Kalimantan that have elicited little media attention. What makes the volume particularly interesting are the ethnographic insights gained from Kivimaki’s long involvement in the region. In exploring the causes of re-occurring violence in West Kalimantan, Kivimaki for instance foregrounds the symbolic functions of violence. Killing and violence serve as a way to prove loyalty and commitment to one’s community, but also as a way to articulate and enact masculinity. With the aim of translating these observations into practical conflict prevention strategies, he points to the need of substituting violence and killing as symbols of masculinity with alternative, non-violent activities. Competitive sports, for example, offer opportunities for non-destructive expressions of masculinity, Kivimaki suggests. The formulation of practical conflict-resolution strategies grounded in ethnographic knowledge is a re-occurring theme in the analysis. In many ways the book represents a call for pragmatic peace research and more importantly for what Kivimaki calls ‘academic diplomacy’. This means concrete involvement of peace researchers in peace processes. On the basis of his own experience in West Kalimantan, Kivimaki outlines a number of roles academics can play. In addition to setting up educational platforms for peace-making following the example of Kivimaki’s East Asia Network, scholars can establish networks of contacts that can be utilized for peace negotiations. Crucially, as researchers are less constrained in terms of who they speak to, they can reach out for actors and groups deemed illegitimate by official negotiators and donor agencies. Kivimaki also argues that peace researchers can challenge negative stereotypes of rival groups by revealing them as socially constructed representations rather than objective facts. Deconstructing negative representations of the rival groups is crucial for countering the ‘impractical epistemic orientations’ that often hinder peace-making and reconciliation. The engagement of scholars in academic diplomacy may, however, come at a price. Kivimaki’s own experience shows how peace researchers can become targets of intelligence agencies. Kivimaki asserts he was monitored by Western intelligence agencies during his work in West Kalimantan, and while authoring Can Peace Research Make Peace? he was investigated by the Danish Security and Intelligence Service over his contacts with groups and actors regarded as terrorist organizations in the West. This raises concerns about confidentiality and trust that are essential for research in conflict-zones and paramount for mediation-work. Beyond the practical challenges of academic diplomacy, a troubling aspect of Kivimaki’s vision of scholars as peace-makers is the notion that third party actors should actively seek to change the ideational landscape of the society undergoing conflict in accordance with ‘modern’ norms and ideas. For Kivimaki the role of peace researchers is not limited to merely highlighting the socially constructed nature of antagonistic identities in conflict-torn societies but it can also extend to ‘constructing social realities’. This means reordering ‘awkward’ local mentalities by introducing modern norms of behaviour. As a result, Kivimaki treads at times on a fine line between third-party mediation and social engineering. Giving the locals the correct version of ‘social reality’ seems to assume superior knowledge and understanding by the external mediators of how to bring societal change and consequently, peace. While it is clear that external actors can and should play a role in facilitating peace processes, notions of modernizing local attitudes invoke uncomfortable echoes of past European attempts to civilize the natives inhabiting colonized territories. As experiences of peace-building in post-conflict states imply, successful conflict resolution mechanisms can also draw on local traditions and norms (see for instance Jarat Chopra’s and Tanja Hohe’s 2004 article in Global Governance on ‘participatory intervention’). Notwithstanding the above caveat, the value of Can Peace Research Make Peace? lies in highlighting the practical role scholars can play in facilitating peaceful resolution of conflicts. Kivimaki jettisons the positivist idea of neutral scholar and takes a normative stance on the very purpose of peace research; rather than merely describing conflicts and peace processes, the knowledge generated and contacts established by peace researchers should be used to bring an end to violence. It is easy to concur with Kivimaki; the urgency of alleviating the suffering of people in societies plagued by conflict must override principles of objective academic research. It is also clear that peace researchers can complement official diplomacy in conflict-zones through practical measures of bringing different communities together in conflict resolution workshops. 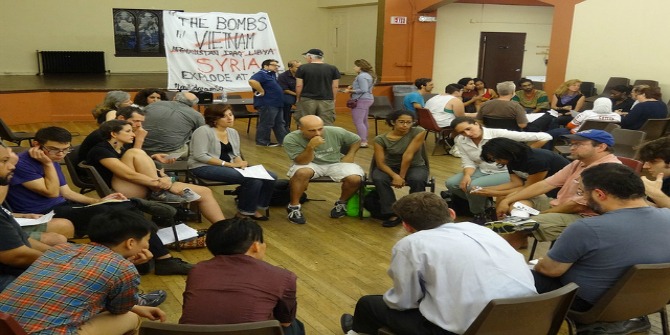 These workshops do not only offer educational opportunities but also provide non-violent forums for the warring parties to meet. It is such opportunities that may prove vital for resolution of on-going conflicts in Syria, Somalia and beyond where the official, international mediation is constrained by geopolitical expediencies. Yet, for academic diplomacy in conflict zones to work, more funding – but also clearer guidelines on the rights and obligations of academics in conflict zones vis-à-vis state security agencies – are clearly needed. Outi Keranen is a doctoral candidate at the LSE International Relations Department. Her research focuses on post-conflict state-building in Bosnia and Herzegovina with particular interest on the dynamics between local and international state-building actors and processes. Outi’s research interests are in conflict and peace studies and her further research focuses on identity-building in post-war societies. Read more reviews by Outi. Review translated by Rachel Lim (Mandarin LN240, teacher Lijing Shi).